Есть вопрос для Sea of Love Mansion? Sea of Love Mansion, расположенный в Ратдапхисек, Бангкок, это популярный выбор среди путешественников. Благодаря своему удачному расположению, всего в от центра города и в от аэропорта, этот 3-звездочный отель привлекает множество туристов каждый год. Для осмотра достопримечательностей и интересных мест в округе, не нужно далеко ходить, так как отель находится недалеко от Посольство Китайской Народной Республики, Ratchada Night Bazaar, Ночной рынок Ratchada. Обслуживание и удобства, предлагаемые в Sea of Love Mansion, обеспечат приятное пребывание для гостей. Отель предоставляет бесплатный Wi-Fi в номерах, Wi-Fi на территории, парковка, аренда автомобилей, услуги прачечной, чтобы обеспечить нашим гостям максимальный комфорт. Кроме того, номера оснащены различными удобствами, такими как Wi-Fi, кондиционер, балкон/терраса, Wi-Fi (платный), телевизор, чтобы удовлетворить даже самых взыскательных гостей. Помимо широкого выбора услуг для отдыха, предлагаемых в отеле, у вас останется много возможностей развлечься не выходя из отеля. Независимо от цели вашего визита в Бангкок, Sea of Love Mansion является идеальным местом для отличного отдыха и веселого времяпрепровождения. Возраст гостей не должен быть меньше 12 лет. Необходим возвращаемый залог при регистрации заезда. Забронировали номер за 450 бат. Нужно было на несколько часов. ДУш принять и покупки разложить по чемоданам. Отель очень старенький. Приехали в 6 утра. Не смогли нас заселить. Лишь за доплату в 150 бат. Номер, обслуживание интерьер, экстерьер все соответсвует 450 бат. Притензий не имею. Пыльно, не отзывчивый персонал, платный интернет, нет завтраков доже платных. Не могут вызвать такси до аэропорта говоря, что это не их проблемы иди и ищи телефон. Полы не моют. Отель находится довольно далеко от остановок общественного транспорта в рабочем районе Бангкока - рядом находятся фабрики, мастерские. Соседние улицы очень загружены траспортом, пройти по ним проблематично. Окна отеля выходят на стройку, персонал не говорит по английски. 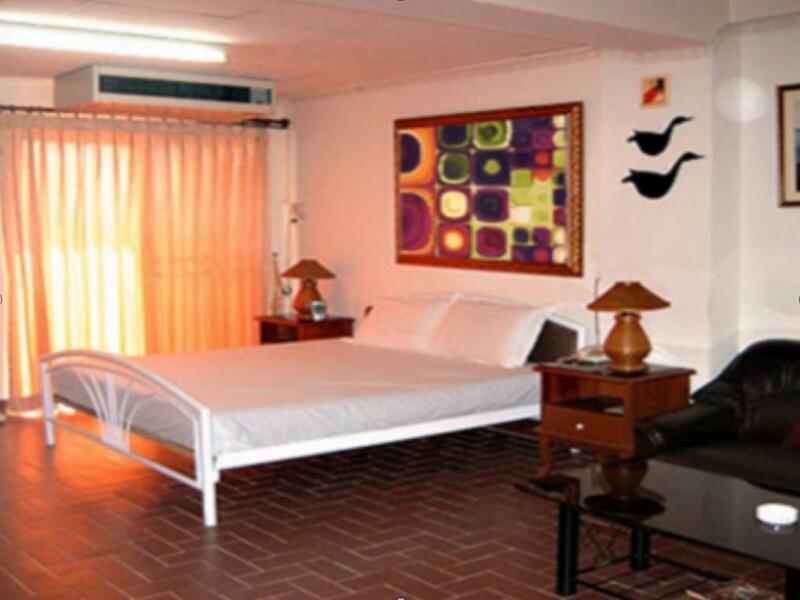 All are spacious rooms with big bed and balcony. TV, refrigerator, air-con, warm water heater in new condition. Cleaning room everyday. Walk to Subway Rama9 about 15 minutes. Very recommendable for people who prefer quiet place. They got new air-condition and water heater installed just recently in all rooms which made my stay even more comfortable than usually. Location a bit off the spot, but still convenient. Print out your voucher for Late night check in as only security staff on duty after office hours. City view, large and bright room. Each times I come to Bkk I've been staying here. Many restaurants neaby, not to far from MRT (10mns on foot, 5 by moto taxi) and the big male. It's a good value mansion with a lage or medium cleaning rooms. The staff can help you for any things you need. I like it. Is very cheap but good cleanliness. Quite far from MRT. 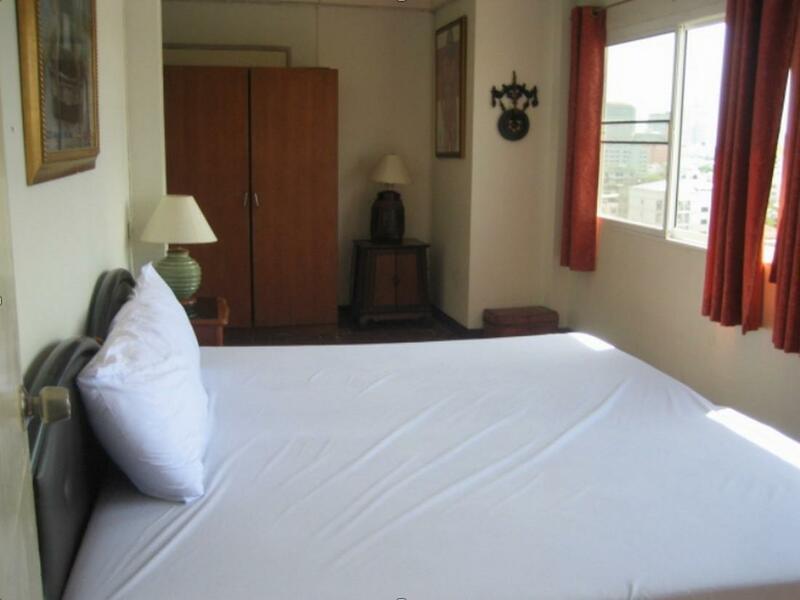 In reach of subway Rama9, rooms are tidy large with balcony, good security, lots of street food around the corner. Definitely will stay here again next time. Worst hotel...i booked for 4nights but after 2nights i checkout and move to other hotel. Location is so far from the city, no nearby restaurant..hotel room no free wifi, no free water and no free toiletries. Hotel is old.worst and regret that i stayed here. 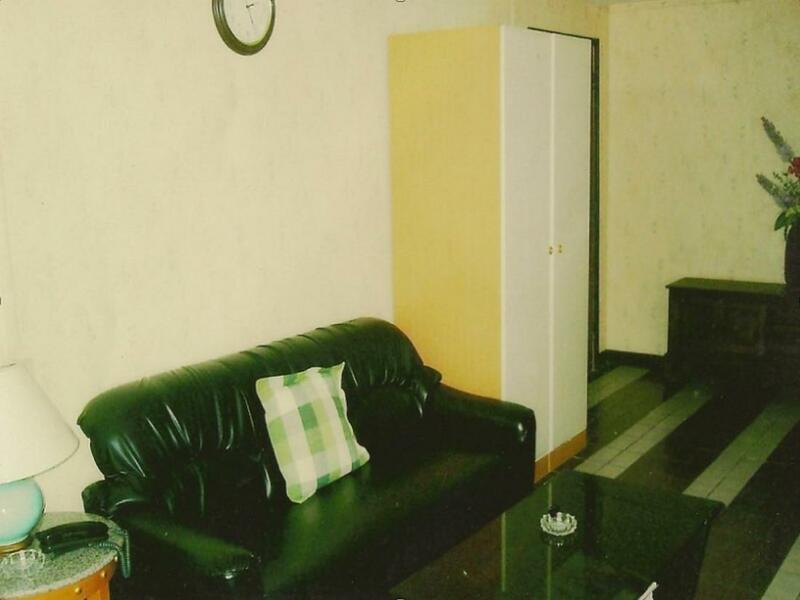 It was awful, the room was very dirty ,the fridge was dirty with hair of others, cockroach everywhere inside the room, unfriendly staff who eat your food that u bought , very dirty bathroom had to clean ourselfs full of funges, bad location to walk, a place never to go again, such a waste of money. Staff who looks at you like your an alien and laugh and talk about you. Please take an other hotel this is something u don't want to see even in a nightmare! Glad that we had to leave after 5 days!! inventar pretty down the AC didn't work at all, warm water no way, low class customers wake you up in the middle of the night while welcoming some unloved guests, staff not flexible in offering better rooms, just stay there to leave asap. 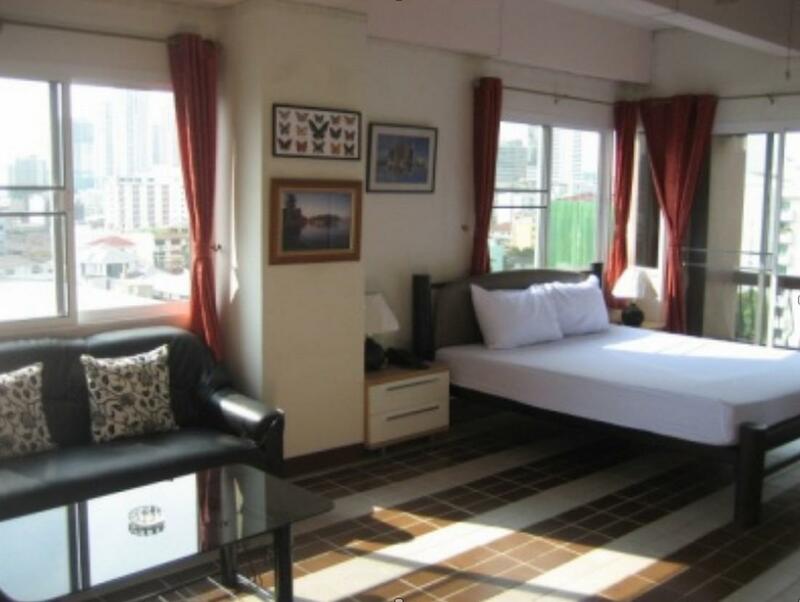 Room was big with more than enough furniture, cleaned every day, bid bed, good bathroom, towels, A/C, large fridge, nice view from balcony and TV only in Thai. Reception staff speak minimal English! (except one middle-aged man) and not really interested in you (as far as I know most people live there long-term). Stayed there 3 times and will stay again when in Bangkok. 20 min walk to MRT (or 20 Bahts motor-taxi), Tesco Lotus (many banks/ATMs) & Central Plaza Mall with good supermarket. Many street food stalls in the evening nearby. 100 Baht/day for Wi-Fi: Internet-robbery!! Almost everywhere in Thailand it's free. No wonder Owner is a multimillionaire! (check his 5 cars parked near Reception, ). It's a great area of Bangkok, if a little difficult to find first time, and it's one of the cheapest places easily bookable in advance. The staff, however, are cold and unhelpful compared to most Bangkok hotels and they have an ugly dog who parades around reception barking all day. Check-in and check-out are needlessly tedious, whilst simple requests are ignored or rejected. Rooms are big and their dated appearance is mitigated by their kitsch. Still, tbey have seen better days but what do you expect for the price. In short, if you're not fussed about an uncharacteristically cold reception (for Thailand) it's a great deal.